Quickly build Quotes, Job Instructions and Billing Details, based on detailed Labour, Parts and Miscellaneous Materials. The Fast Track maintenance management solutions, which include reactive and planned maintenance for windows, web and smartphone, contain integrated components for managing small works and schedule of rates. 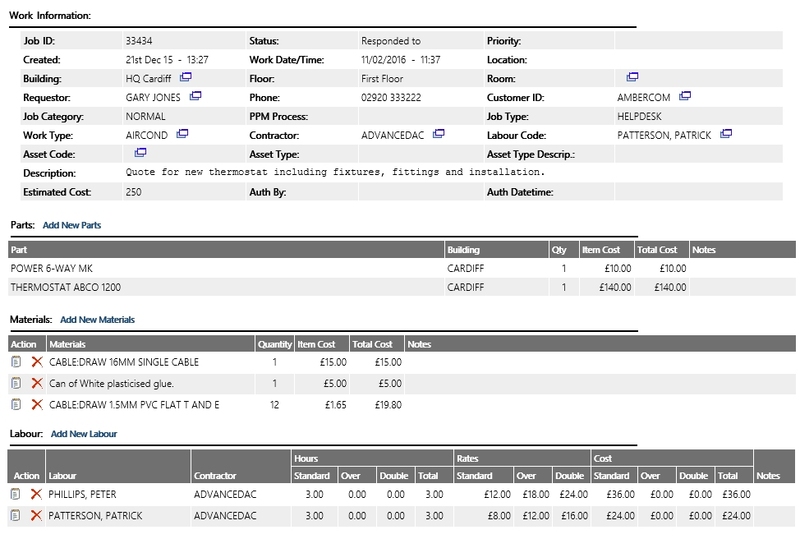 The small works software allows a cost profile to be built up for quoting and invoicing (as necessary). 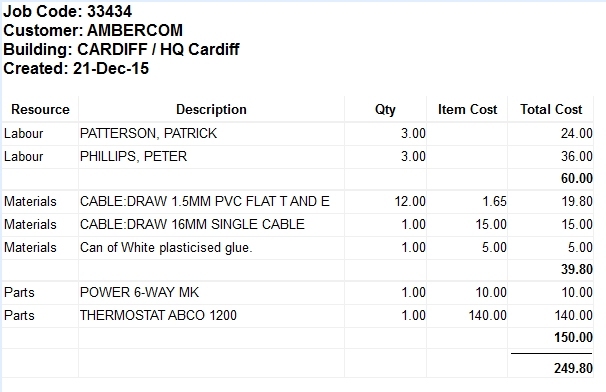 Cost components include labour charges, parts from parts stores, and miscellaneous items which be specified, or chosen from a schedule of rates. The schedule of rates can be a standard set of data, or standard data with edited pricing. New items can be added to the available schedule of rates items as necessary. In a typical operation, some customer quotes will be taken up and become jobs with work dates and completion dates, and others will be either dormant or not taken up (they can easily be cancelled). Parts can come from multiple parts stores, and labour resources can come from multiple service providers, including your own staff and sub-contractors. As with all the Fast Track solutions, collaborative communications between users, service providers and customers can be captured with the system, so a full log of discussions can be seen at a glance. This approach fully removes any lack of clarity caused by multiple email threads. In the image below, the components for the quote and job are built up from details, parts, miscellaneous materials and labour. In the next image, the job components are summarised by grouping the resources, in a form suitable for use as a quote. 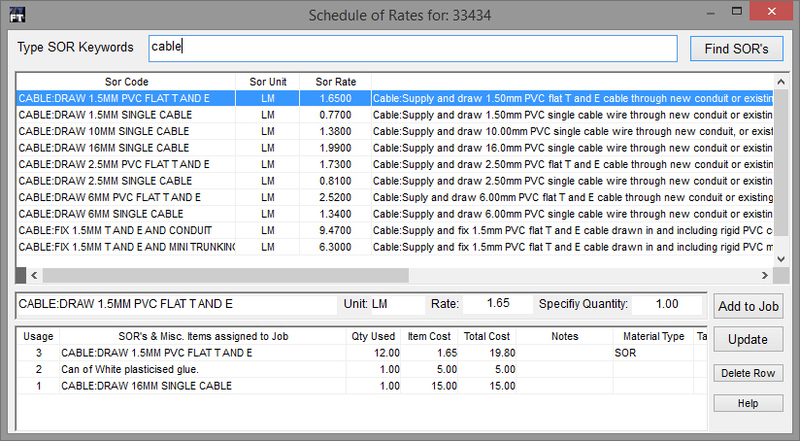 The following image shows one of the views used to search the Schedule of Rates items (which can consist of thousands of items), and add them to the quote or job.